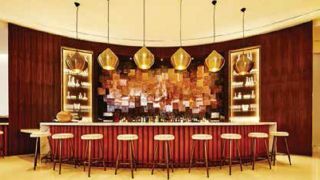 Hotels in Miami’s South Beach offer a range of luxurious beachfront accommodations, but the new Nautilus Hotel South Beach offers something special that separates it from the pack: a unique emphasis on art and music. With a fine art collection and Powersoft-driven sound systems, the Nautilus Hotel South Beach is a feast for the eyes and ears of its visitors. To achieve unparalleled sound in its rooftop lounge as well as its top-floor penthouse, the hotel turned to specialist All Things Integrated (ATI). ATI president Robert Athey and his team knew right away that the hotel’s aspirations could only be met by the clarity, efficiency, and performance of Powersoft’s Ottocanali series amplifiers. The penthouse at the Nautilus Hotel South Beach might be the only one in Miami with a true high-fidelity sound system built in. Accounting for separate zones for the kitchen, den, lobby, living room, dining room, bedroom, bathrooms, and more, Athey selected a Powersoft Ottocanali 4k4 as the primary amplifier, turning to a Powersoft M30D to provide the last two channels he needed for complete zone coverage. He chose Martin Audio C6.8T in-ceiling speakers for every room. “The choice of speaker is important of course, but using the right power amplifier is just as important and often overlooked,” Athey explained.